In verses 31-34 Jesus foretells His crucifixion for the third time. He told them that He would be spit upon, flogged, killed, and then would rise on the third day. But verse 34 says “But they understood none of these things. This saying was hidden from them, and they did not grasp what was said.“ We are not told why these things were “hidden” from them, but it becomes clear in reading the gospels that their present knowledge of what was to happen to Jesus was not desired. Perhaps one reason was that it could present another complication that Jesus would have to deal with unnecessarily. Some of his disciples might make plans to intercede, as Peter did at the time of His arrest (John 18:10). 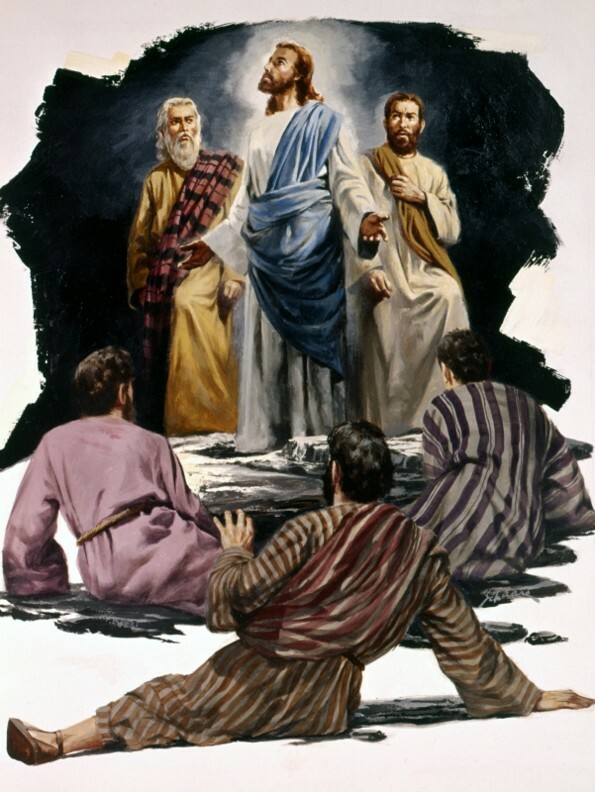 What was important was that they would remember these things after they received the Holy Spirit following Jesus’ ascension to heaven after His resurrection. The blind beggar whose sight Jesus restored in verses 35-43 got the attention of Jesus and all who were with Him. When he heard the crowd passing by, he asked what it meant, and was told that it was Jesus of Nazareth. Having heard of Him already, he showed that he believed what he had heard about Jesus being the Messiah when he cried out to Him as the “Son of David.” Jesus, asking what the man wanted Him to do for him, restored his sight upon request, saying that his faith had made him whole. Besides being another miracle for the scripture, this passage serves to tell us that the news of who Jesus really was had gone beyond the speculation about being reincarnated from some other prophet. Many now knew that He was the Messiah, and many more had heard without yet believing. Jesus’ predictions of His death were of an event that would now come soon. In verse 29, Jesus tells the increasing crowd that ” this generation is an evil generation,” which seeks a sign. It is an evil generation because they have the Son of God in their midst, and they will, by and large, reject Him. He compares them to Nineveh, who repented because of Jonah’s preaching, and the Queen of Sheba who came from so far away to witness Solomon’s wisdom. 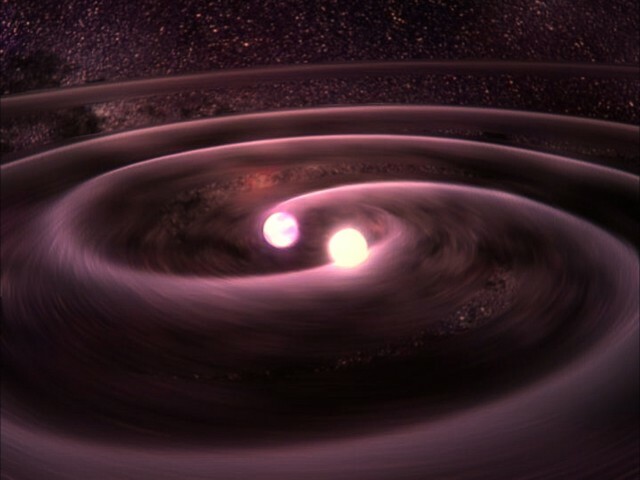 They have one greater than both of those, yet they will not accept Him. The only sign they will get is the sign of Jonah, He says. Jonah was in the belly of the “great fish” for 3 days, just as He will be in the tomb. But even this greater sign will not be enough for so many of them. It is in this context that Jesus tells them that the eye is the lamp of the body. Those who see the truth for what it is will have this light affecting their entire lives. Those who choose not to see the truth will have the darkness. While Jesus was speaking to them, yet another Pharisee asked Him to dine with him. He was amazed that Jesus did not wash first. This was not a matter of hygiene to the Pharisees, but a ritual that they had dictated – and so it also was a rejection of the Pharisees’ authority. Jesus then chides them for cleaning the outside of their cups and dishes, yet inside themselves they are corrupt. Jesus pronounces three “woes” on the Pharisees then. He says they tithe even the herbs they cook with, but they neglect justice and the love of God. It is their love of having the best seat in the synagogue, and their love for the honors bestowed on them by men that He condemns in the second woe. Then he says they are like unmarked graves that people walk over without knowing. Contact with a grave would make one ceremonially unclean. Yet people follow the teachings of these hypocrites, thinking that they are pleasing God, when they are actually being tainted by them. The lawyers that He next pronounces woes upon are the Scribes. They are responsible for keeping the law (as the Pharisees see it), and for teaching it. Yet they push rabbinical laws that God does not command upon the people, while not holding themselves to the same standards. The statement that they build the tombs of the prophets that their fathers killed is not hard to understand, once we look at the next sentence. It says that they are witnesses, and they consent to the deeds of their fathers. They are witnesses to the very Messiah that the prophets died proclaiming, and by their rejection of Jesus, they “build the tombs” of those prophets that their fathers killed. 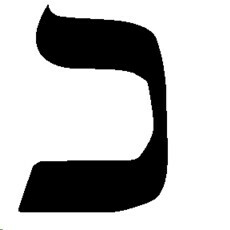 The last woe refers to them taking away “the key of knowledge.” This refers to the knowledge of the Messiah. And though they do not enter the kingdom of God, they hinder others from entering in. The ninth chapter of Luke is not the longest chapter of this gospel, but there is a great deal going on in it as Luke picks up the pace in his account. After the feeding of the five thousand, we pick up in verse 18 with Jesus asking the disciples who people are saying that He is. Their answer is that they either say He is John the baptist, Elijah, or one of the other prophets (so in all cases, one raised from the dead). So the bulk of people that are referred to here are familiar enough with the signs and wonders that Jesus has done to know that He is definitely not some ordinary man. And in each case, they obviously believe that He was sent from God. Jesus is transfigured on a mountain. Moses and Elijah join him, while Peter, James and John watch–Matthew 17 1-13; Mark 9 1-13; Luke 9 28-36. But now that Jesus has His disciples thinking about this, He wants to know what they have come to think about who He is. It is here that Luke records the fact that it was Peter who first spoke the correct answer – that He is the Christ (the long-awaited Messiah) and the Son of God. In verse 21, Jesus “strictly charged and commanded them” not to tell anyone else. But why is that? The Bible does not explicitly answer that question for us, but it is really not too difficult to figure out the answer from the other information we have in the Scripture. Given the fact that the people, by and large, already believe that Jesus was sent from God, it would be very easy for most of them to believe that He is the Messiah, once that word started spreading. But what would the reaction be? Given also that Jesus knew that the sort of Messiah they were expecting was one that would lead them to the end of Roman dominance and lead Israel to its former place as a world power, belief in Him as the Messiah before His death could be problematic. The crowds (5,000 men plus women and children most recently) had become vast in numbers. An expectation that Jesus was there to be their earthly king would result in chaos. It is in this light that Jesus tells them in verse 22 that He must “suffer many things and be rejected by the elders and chief priests and scribes, and be killed, and on the third day be raised.” Nothing could be allowed to hinder this – and it would happen on God’s timetable. In verse 23, Jesus talks to the disciples about what it will mean to follow Him. He speaks of it as “taking up” one’s cross and following Him. The context of the next few verses culminates with the statement that some of those present at that very moment would not “taste of death” before they see the kingdom of God. Being a disciple and following Him before such time would not have been an easy thing to do. But Jesus seems to be referring to the cost of following Him after He has risen, and the kingdom has been established. 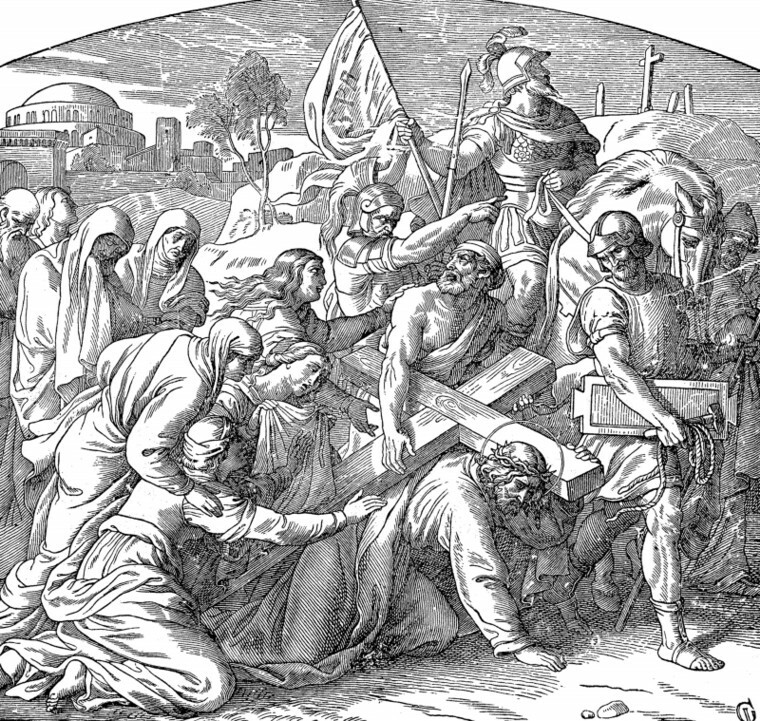 Taking up one’s cross would mean bearing the burdens that discipleship that just might make life a great deal more difficult. Indeed, many of those first-century Christians would know persecution and suffering unimaginable to us. Jesus knew that many would even be killed for being a part of that kingdom. But those who would lose their lives would gain everlasting life with God. Those who would rather be safe and pursue worldly pleasure and gain, turning their backs on the kingdom, would suffer a worse fate in the end. In a very real sense, taking up one’s cross often means doing what one would much rather not do. 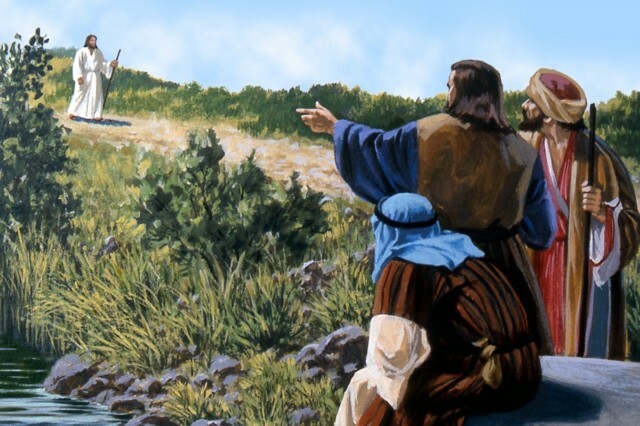 Eight days later, Jesus took Peter, James, and John with Him to “the mountain” to pray. Which mountain it was, we do not know. 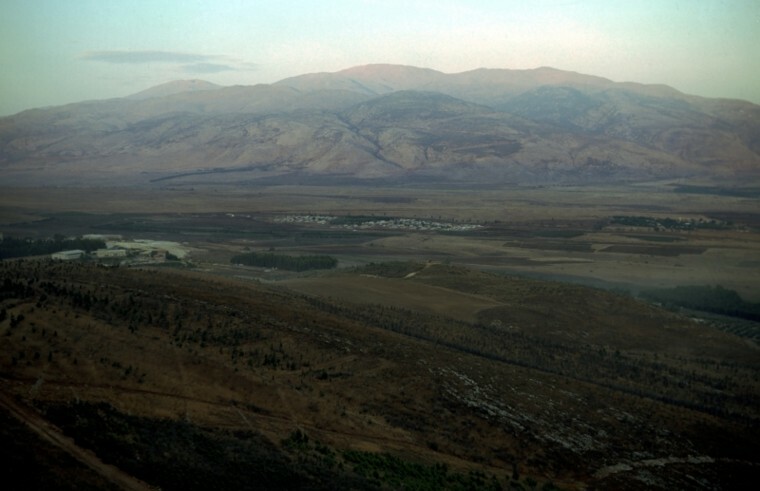 One traditional belief is that it was Mount Hermon because of its height. It is estimated that this mountain is about 45 kilometers from Capernaum, so it is definitely possible. 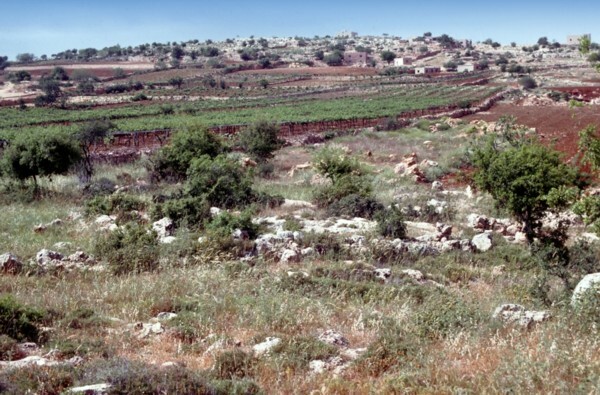 Others believe that it was Mount Tabor. But the mountain is not the focus of the gospel in verses 28-36. As Jesus was praying, “the appearance of his face was altered, and his clothing became dazzling white.” We are not given much detail about just what was happening or in what way His face was altered. But clearly, the Holy Spirit brought about some changes to Him that were important to God’s plan. Peter and the others woke from a deep sleep to see two men talking with Him (Moses and Elijah). Luke says that they appeared in “glory” and they saw Jesus’ glory as He spoke with them. This is a term that was used in the Old Testament to describe the dramatic visual effect of the presence of God; and that is exactly what was going on here as well. Peter, either having it revealed to him or learning from what he heard, knew who the two men were. But he did not understand what was happening, as he suggested they make some extra tents for them. They became afraid as a cloud came and surrounded them. 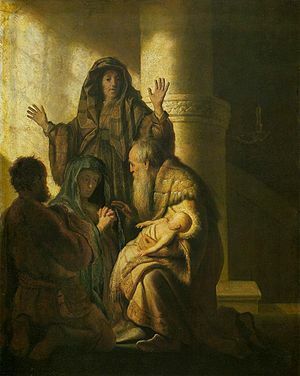 Then the voice of God sounded out as He told them “This is my Son, my Chosen One; listen to him!” Peter, James, and John probably would not fully understand until after Pentecost, but the point for them (and for us) was made when Moses and Elijah left, and Jesus alone was standing there. God was telling them that it was the words of His Son that they would listen to from now on – not Moses, and not the prophets. Another point to ponder from the record of the transfiguration is the fact that Moses had died hundreds of years ago (Deuteronomy 34:5). 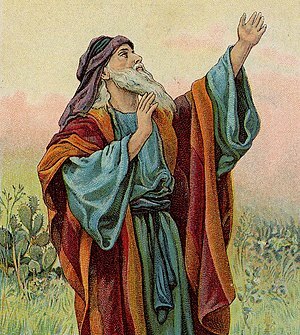 Elijah had been taken up by God many “lifetimes” ago (2 Kings 2:1-12). What does this tell us about life after death and everlasting life? It certainly tells us that we can count on God’s word, as always. But what conclusions should we draw from Moses’ presence? Something to ponder for perhaps another time. As the news spread about the miracles Jesus had done, including the raising of the dead son of the widow of Nain, the disciples of John the baptist made these things known to him, while he was in prison. John sent two of them to Jesus to ask “Are you the one who is to come, or shall we look for another?” Obviously, the mention of “the one” refers to the Messiah. This seems strange to us, in light of the fact that before he was imprisoned, John already pointed Jesus out as “the Lamb of God, who takes away the sin of the world!” (John 1:29). 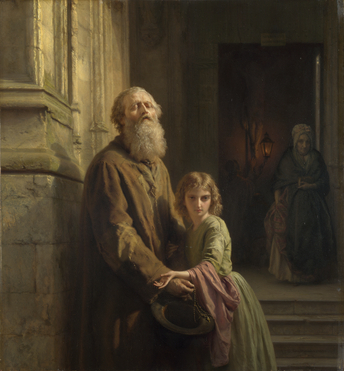 But we must remember that John the baptist was just a man, and he had his own weaknesses and trials (particularly at this time, being in prison), and he would have his own struggles with faith. We know that at the time he was “preparing the way” for Jesus he was full of the Spirit. Clearly that was the case when he made that statement as he saw Jesus approach him. But now that he was in prison, he hears of the things that Jesus has done, and perhaps like many others, he was expecting a much different Messiah – one who would be a great leader and perhaps lead Israel to their former greatness as a power – and out from under the dominance of the roman Empire. Verse 21 says that Jesus healed many of diseases and evil spirits, and restored sight to blind people in that very hour. We can presume that to mean that the disciples John sent were witnesses to these things. When Jesus told them in verses 22-23 to go tell John about the blind, the deaf, the lame, etc., He knew that John would recognize these prophesies from Isaiah 29:18. After they left, Jesus spoke to the crowds about John. John had fulfilled the scriptures concerning what he was purposed by God to do, and Jesus pointed this out very well. Noting that some were deceived by his simple dress and his life of austerity, Jesus proclaimed in verse 27 that John was indeed nonetheless the one spoken of in Malachi 3:1, as the messenger sent to prepare the way. One point that is easy to miss in all of this is the relationship in this passage between the expectation of the people toward the prophet and John’s own expectations about the Messiah. 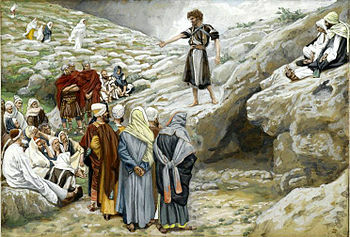 Jesus asked them what they expected to see when they went out in the wilderness, saying that “those who are dressed in splendid clothing and live in luxury are in kings’ courts.” By the same token, Jesus came as the Messiah, doing exactly what the prophet Isaiah said He would do, but people often do not see what is important if they look the wrong way. And he continues to emphasize these points in verse 31-34, as he describes the fickleness of that generation. Also not to be missed here is the affirmation that by rejecting the baptism of John, the Pharisees and lawyers had rejected the counsel of God (verse 3). What did Jesus mean when he said in verse 28 “yet the one who is least in the kingdom of God is greater than he” (speaking of John)? I think this is simply a reference to the fact that he knew John would not live to be a part of the kingdom Jesus was establishing as His church. Almost certainly, John would have his place in heaven, but he would not be around to tell others of the good news of Jesus’ victory over death, and what it all means. In chapter 6, Isaiah recalls the time of his call to be a prophet. We know from verse one that this was about 740-739 B.C., as that was most likely the year that King Uzziah (2 Chronicles 26) died. Isaiah lived long enough to write of the death of Sennacherib (Isaiah 37:37-38), the Assyrian king who reigned until 681 B.C. 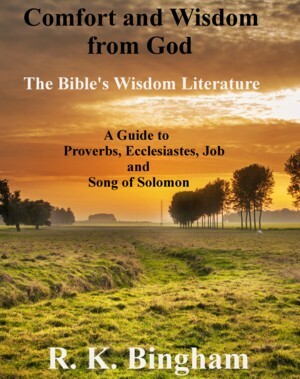 Traditional secular Jewish and Christian writings state that Jeremiah and Isaiah were the two prophets referred to by the Hebrew writer as having been “sawn in two” (Hebrews 11:37). 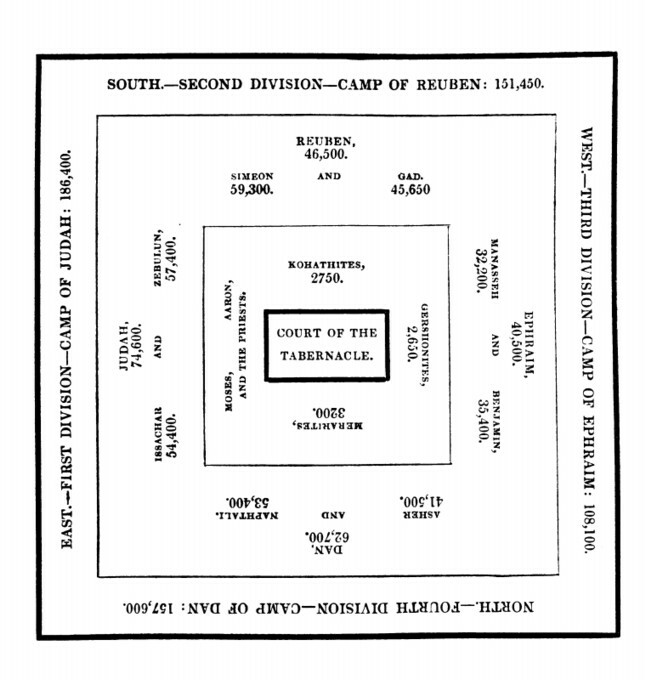 These writings refer to the persecution under Manasseh, the king of Judah from 687-642 B.C. Other writings in the Book of Isaiah can be dated as well. Chapter 7 was written about 735 B.C. Chapters 36-38 can be dated about 701, which is the time of the Assyrian invasion. The book opens with an indictment of the people of Israel, and the declaration that Israel has no excuse for its apostasy (Isaiah 1:1-10). It lists God’s requirements of the people of Israel in order to avert the coming judgment (Isaiah 1:16-20), It also contains the lament over Jerusalem and its coming fate (Isaiah 1:21-23), and a declaration of God’s coming judgment upon the people (Isaiah 1:24-31). Isaiah is considered to be the most prophetic book of the Bible, and is quoted in the New Testament over 400 times. 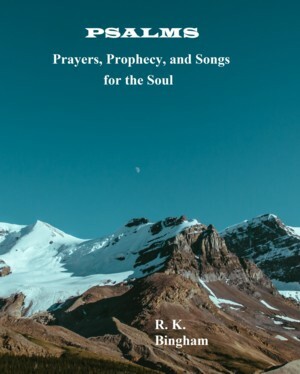 The most well-known of his Messianic prophecies are in what is known as the “Suffering Servant” songs. The most beautiful and best understood prophecies that are a source of understanding of the Savior’s purpose as the Messiah are contained in Chapter 53. This series began in Part One as a search for a more meaningful answer to an aspiring young Christian’s question: “Why did God send His only son to die?” The short answer “to save us from our sins,” while correct, really only serves to raise more questions. In part 2, we looked at what sin is, why it matters so much to God, and why it should matter to us. In part 3, we delved into God’s response to sin. In all of that discussion, we have made great mention of the fact that God has a plan for our salvation. In part 4, we looked at how Jesus really fits into that plan. But what were God’s people looking for in a Messiah? And why did God plan such a horrible death for Him? The Jews had been waiting for the Messiah to come for thousands of years. But what kind of Messiah were they expecting – especially during the time that Jesus actually did come? By and large, what many of them were hungry for in a Messiah was one that would lead Israel to greatness as a power in the world. After all, he was to be the son of David. They wanted him to be a great military leader that would first defeat the Romans who ruled and oppressed them. But for people at that time, getting them out from under the thumb of Roman rule was just the beginning. They wanted a king that would eventually lead them to be the kind of power in the world that Israel enjoyed being during the reign of David – mighty and feared – possibly even to replace the Romans as the great power of the world. And in Acts 1:6, just before Jesus ascended to heaven, the apostles (not yet having received the Holy Spirit) demonstrated that they still didn’t “get it” either: (“So when they had come together, they asked him, ‘Lord, will you at this time restore the kingdom to Israel?’”). So focused were so many of the people of that time on an earthly kingship for the Messiah, that they overlooked completely prophecies such as that of the “Suffering Servant” in Isaiah 53 or others such as Psalm 16:8-11 (“you will not abandon my soul to Sheol, or let your holy one see corruption”) that clearly predicted a different course for God’s anointed. Sadly, many of those who longed most for the coming of the Messiah completely missed Him, when he was right under their very noses. Why Death on a Cross? 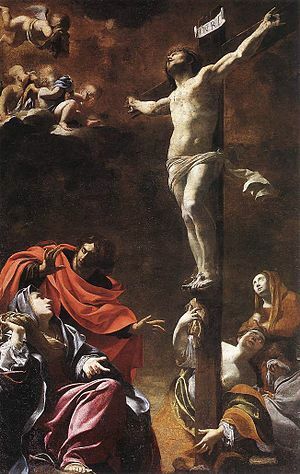 Although the crucifixion of Jesus is the most famous of all time, it was not an uncommon means of execution from about 500 BC until the 4th century AD – one that was used by the Romans, certain Greek-Macedonian states, and the Carthaginian empire, to name a few. The Jews of Jesus’ time would have been very familiar with this means of execution. This brutal and very public display of execution was usually reserved for those who committed the most heinous of crimes. It was abolished by Emperor Constantine I in about 337 AD. 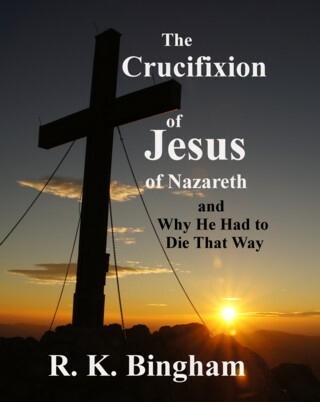 So with respect to fulfilling the Scriptures concerning the suffering that the Messiah would have to endure, crucifixion fit into that plan perfectly, as only an execution inflicted with torture could. A quick death by some other means (such as beheading in the case of the apostle James (Acts 12:1-5) ), while certainly painful, would not serve to accomplish the intense suffering prophesied in such passages as in Isaiah 53, nor the wounding predicted in that same passage and others such as Zechariah 12:10. Accompanied by the beatings and scourging (Matthew 27:25-26, John 19:1), it also fulfilled the prophecy in Isaiah 52:13-14 of the Messiah being so disfigured from them that He was hardly recognizable. Moreover, being “lifted up” on the cross was the fate Jesus prophesied for Himself (John 3:14-15, Matthew 20:17-19, John 8:28), as well as that prophesied in Isaiah 52:13. What Did the Death of Jesus Really Cost? It is important to understand how much love was involved in the sacrifice of Jesus on that cross. Almost everyone in our society has at least heard John 3:16 quoted (“For God so loved the world, that he gave his only Son, that whoever believes in him should not perish but have eternal life”). But how often is that verse quoted without much thought behind it? After all, He was the Son of God, right? It is easy to forget how much He gave up, and how human He became for us. To be sure, God reveals to us what we need to know, but He does not reveal everything there is to know about many things; and that includes His relationship as the Father to Jesus as the Son. Jesus clearly speaks of himself and God as separate entities (John 5:30). God also does the same in such verses as Matthew 3:16-17 (“This is my beloved Son, with whom I am well pleased.”). Yet John 1:1 makes it clear that Jesus (“the Word”) was God. Peter (2 Peter 1:1) and Paul (Titus 2:11-13) both tell us that Jesus is “God and Savior.” Philippians 2:5-6 speaks of Jesus having been in the form of God and having equality with God. Even Thomas, having his doubt removed after the resurrection, recognized this as he exclaimed in John 20:28, “My Lord and my God!” So the answer, in our limited ability to understand such things, is that Jesus was both God and a separate being – the Son. The relevance of all of this to the willing sacrifice of Jesus is that God’s love for us prompted Him to have His only Son – and in a very real sense (the depths of which we cannot fully understand) a part of Himself – to come into this world as a physical man, to live and love as a man, to feel pain and sorrow just as we do, and to suffer and die a cruel and tortuous death at the hands of the very people He was trying to save. In Part 6, we will conclude this series with a look at more of what Jesus’ death and resurrection accomplished, as well as what is required of us to gain our salvation. This series began in Part One as a search for a more meaningful answer to an aspiring young Christian’s question: “Why did God send His only son to die?” The short answer “to save us from our sins,” while correct, really only serves to raise more questions. In part 2, we looked at what sin is, why it matters so much to God, and why it should matter to us. In part 3, we delved into God’s response to sin. In all of that discussion, we have made great mention of the fact that God has a plan for our salvation. Now, in part 4, let us look at how Jesus really fits into that plan. So how does Jesus fit into this plan of God’s? The enmity that God refers to here is opposition to Satan through the offspring born of the woman. Clearly, the “he” in the verse that will “bruise your head” is that offspring. What is meant by bruising the head is the complete victory over the evil one that had the power over death, as told to us in Hebrews 2:14-15. As for how the Crucifixion can be classified as the bruising of the heel, consider that Jesus overcame death itself, and that the ultimate fate of Satan is his utter destruction (Revelation 20:10). There are a great many prophecies throughout the Bible that promise the coming of this Messiah – many more than we can include in this outline. But the most important of these is arguably that which is written in 2 Samuel 7, where God makes a covenant with David which promises a kingdom from his offspring that will endure forever. He would be the son of God (Psalm 2:7). It is through this offspring of David that the one promised in Genesis 3 will come. He would be sacrificed for our transgressions (Isaiah 53:5-12). And most importantly, he would be risen from the dead (Psalm 16:10, Psalm 49:15). Who was Jesus really, and where did He come from? Most people know that He was born in Bethlehem of a virgin, and many have wondered what the point is of the long genealogy written in Matthew 1:1-17. This was to document the fact that Jesus’ birth came forth through the line of King David. The names of many of those in that genealogical record are found in books of the Bible (the Old Testament) written in the inspired word of God over many hundreds of years. Some say that Jesus never claimed to be deity, but that is certainly not true. In John 10:30, he told the Jewish leaders at the temple “I and the Father are one.” And in John 8:58, he told them “before Abraham was, I am,” which was clearly a reference to the way God identified Himself to Moses in Exodus 3:14. As we near the conclusion of this series, we will examine how Jesus measures up with what the people were expecting from the Messiah that had been anticipated for well over a thousand years, what His death meant then and, more importantly, what it means to us now. Today’s stanza of Psalm 119 is brought to you by the eleventh letter of the Aleph-bet, “kaph” or “kaf.” In the first three verses the psalmist’s endurance is running low and he prays for God’s help and strength in his persecution. A wineskin is a “bottle” made of leather or some other skin for holding wine. The analogy of the wineskin being dried up in smoke is in relation to his distress and sorrow. Psalm 45 has in its superscript a musical direction to sing the psalm to the tune of a song called “Lilies.” The king in this psalm clearly points to the Messiah, and his princess bride is His church. Verse 2 begins with a description of Him that is also referred to in Isaiah 33:17, and Paul refers to the second part of the verse (“God has blessed you forever”) concerning Jesus in Romans 9:5. Verses 6-7, referring to His throne lasting forever, are cited by the Hebrew writer in Hebrews 1:8-9. In verse 10, “Forget also thine own people, and thy father’s house” is just what Jesus said to his disciples in Luke 14:26, 33. Verses 13-15 refer to the end of days when the saints will join the Savior in heaven, and is prophesied also in Isaiah 35:10. Verses 16-17 reminds us of the loving care of a Creator and God who considers each and every one of us important enough to watch over and care for us, his children.